Haha nice! 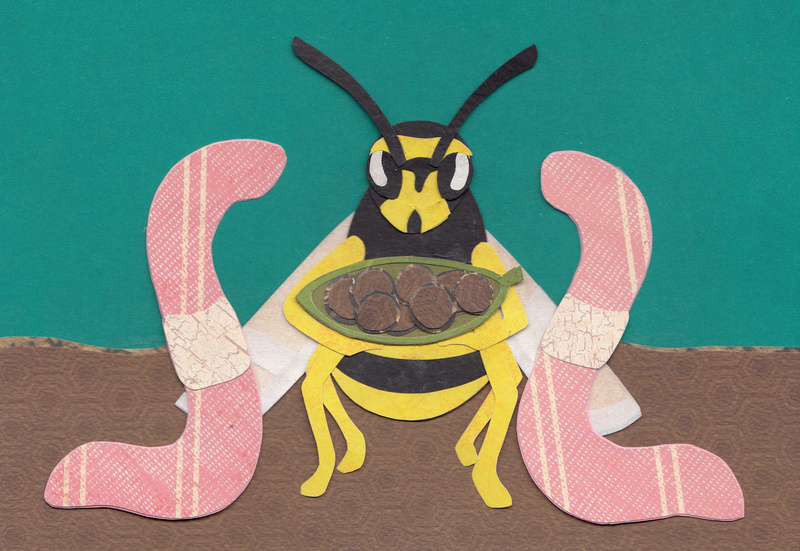 I particularly like the way you got all six of the bee legs in so nicely. Sometimes that sort of thing can be tricky! (I know those are earthworms but for a split second I thought bandaids which is funny because of course bandaids collect dirt.) The cut-out effect is really neat. Cute again as always! Thanks for sharing with all of us!